The Baroque church of San Rocco is easy to find, located opposite the modern, white museum building that surrounds the Ara Pacis on Via Ripetta. 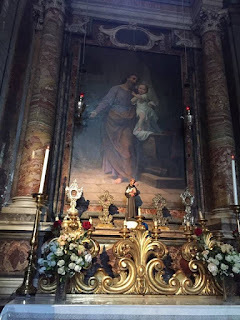 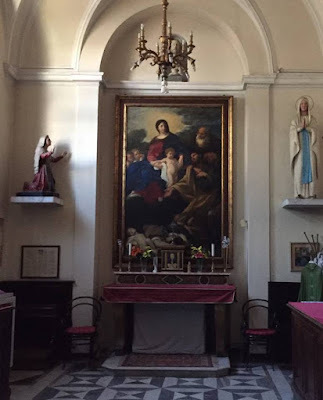 Once a small church stood here connected to a hospital commissioned by the confraternity of San Rocco, an association of boatmen and inn owners from the nearby Tiber port, who assisted people with the plague – Saint Roch is the patron saint of plague victims. 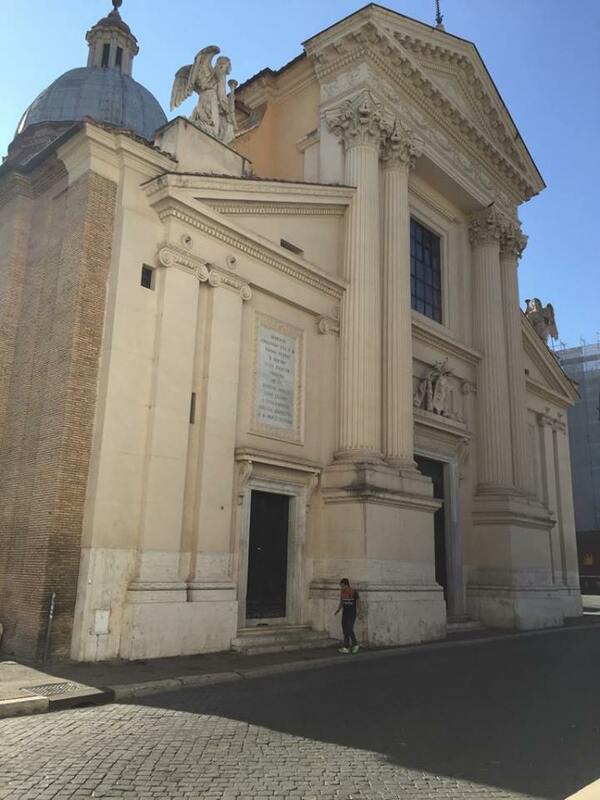 In 1646 the church was rebuilt and extended but when funds ran dry the facade was left unfinished until the early 19th century. 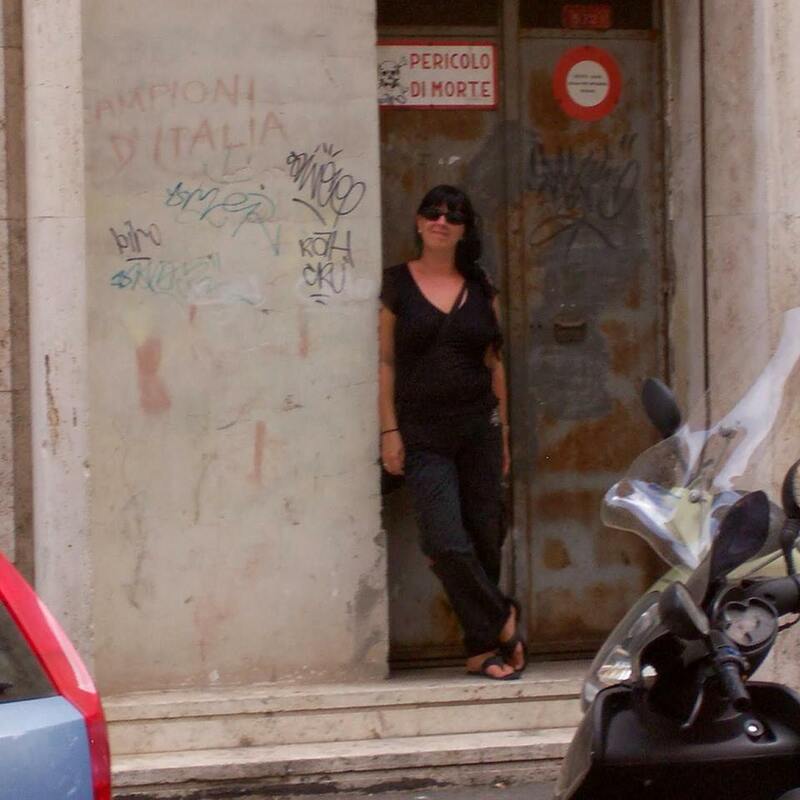 Around this time the hospital was demolished for the excavation of the Mausoleum of Augustus next door. The inside of San Rocco is beautifully decorated with marbles, frescoes and stucco work. 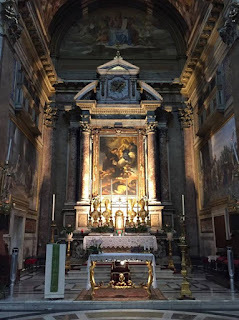 The nave ceiling fresco, the Funeral and Apotheosis of Saint Roch, is by artist Achille Scaccioni and was painted during the 19th century restoration. 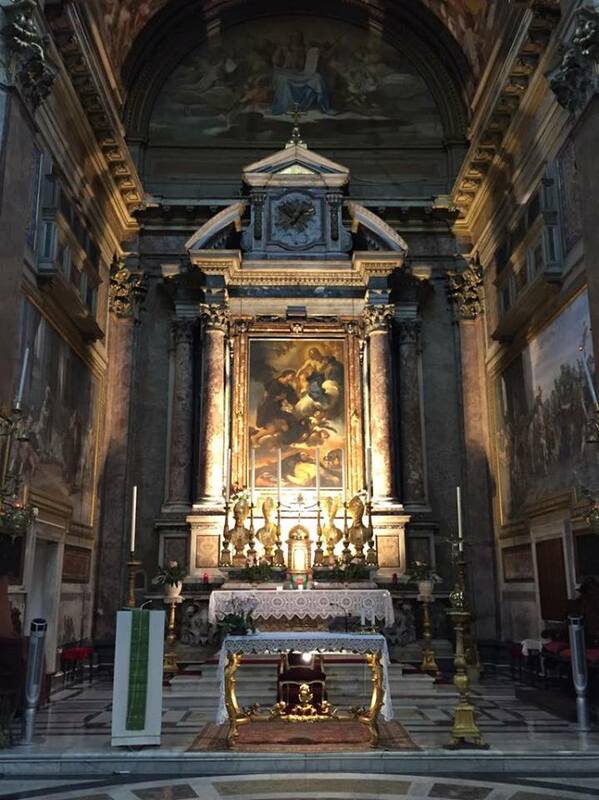 The altarpiece by Giacinto Brandi at the high altar shows Saint Roch in Glory and dates from 1674. San Rocco holds the first known public work by Baroque artist il Baciccio. 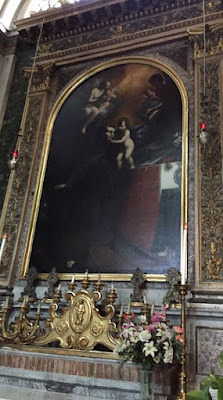 The altarpiece by Giovanni Battista Gaulli of the Madonna and Child with Saints Roch and Antonio Abbott (c1665) was moved from the second chapel on the right of the church and now hangs without fanfare on a wall in the sacristy.